Our exceptional workforce consciously executes all projects safely and reliably… instilling customer confidence & enabling us to stand-out in the communities we serve. Long-lasting industry relationships built on Honesty and Trust reinforces our long standing commitment of doing the right thing… consistently! We actively demonstrate the value of developing our people to build a stable environment so that we can ‘be there’ over the long haul. Our business viability depends on it! Our inherent sense of humor, combined with the respectful consideration & communication we have with each other, pulls us through challenging situations to collaboratively get the job done. 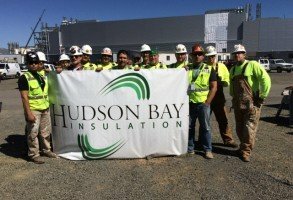 Annually Hudson Bay Insulation and its employees support Charitable Organizations throughout the communities in which we live and serve. View the organizations we supported in the past year.